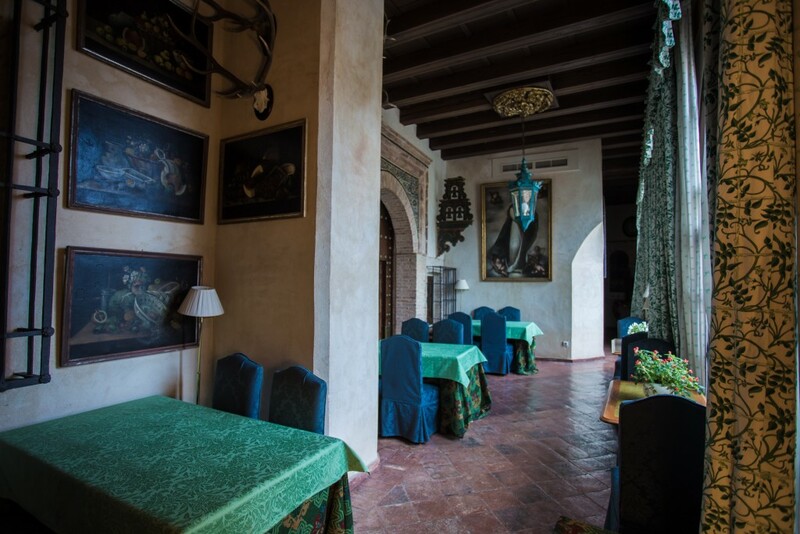 The Patio of columns, the fountain, the XVI century mosaic tiles, the background settings of water and plants, makes this a haven for reading or enjoying a good snack. Like the Roman pools, the palaces fountain-Pool models traces of the renaissance so spread out in the XVI century Seville. It is dedicated to the visit of Felipe V of Spain to the Village of Cazalla in 1730. Besides the beauty of its design surrounding the grand Central Patio and with sounds of water, adds its function as a swimming pool for El Palacio de San Benito. A unique scene, designed to sun bathe under historic surroundings and beauty. 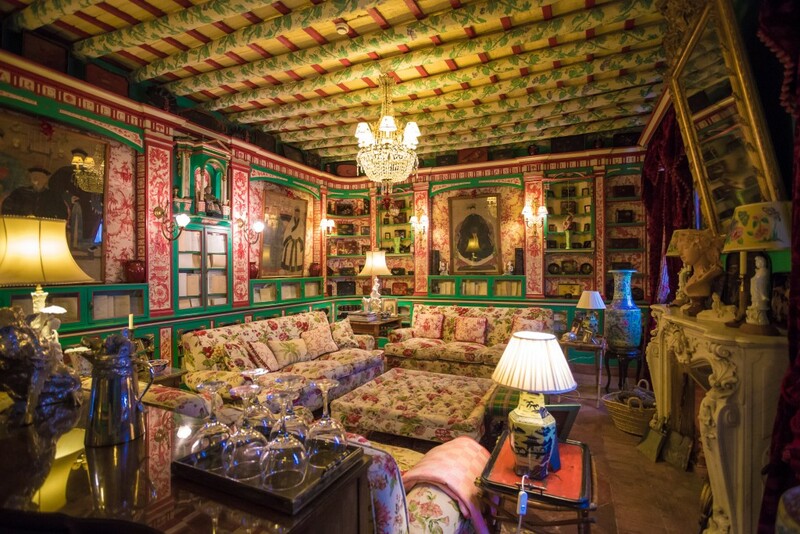 In other corners the Gallery, numerous paintings and tapestries from Brussels and of Aubusson, decorates various atmospheres. The Hotels lounge is the Library, with a magnificent chimney in “Carrara” marble from the time of the Second French Empire, a salon that remembers the atmosphere of the Victorians of the 19th Century. Epoch furnishings crafted of mahogany, mirror, television, like a technological counterpoint , convert this space into a cosy room making it ideal for relaxed reading or a pleasant chat. 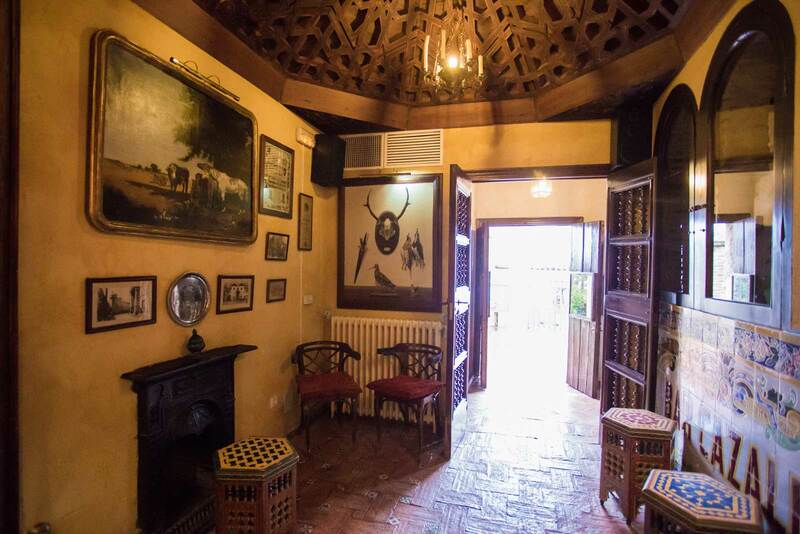 The small bar is a quaint space emphasizing the unique ceiling of Mudéjar style in “lacería”. 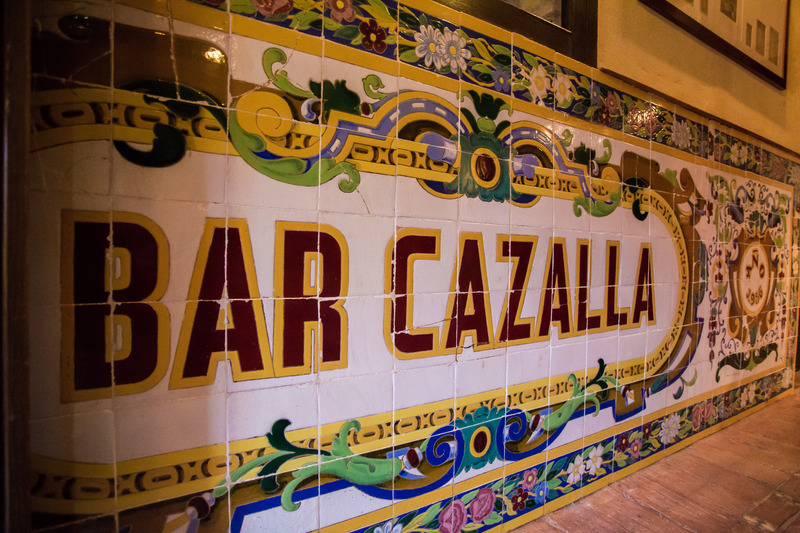 A tile originating from a bar of the nearby town of Guadalcanal, named Bar Cazalla give name to this space. The Bar has a small terrace next to the fountain pool. The bar area has a sunny terrace next to the Fountain-Pool. From here we are able to see the small Bullring and the country fields of Cazalla, with its Mudéjar orchards, still today cultivated with plows pulled by mules, popular postcard images only seen in these lands, as well as the use of donkeys for the transport of olives and cork. 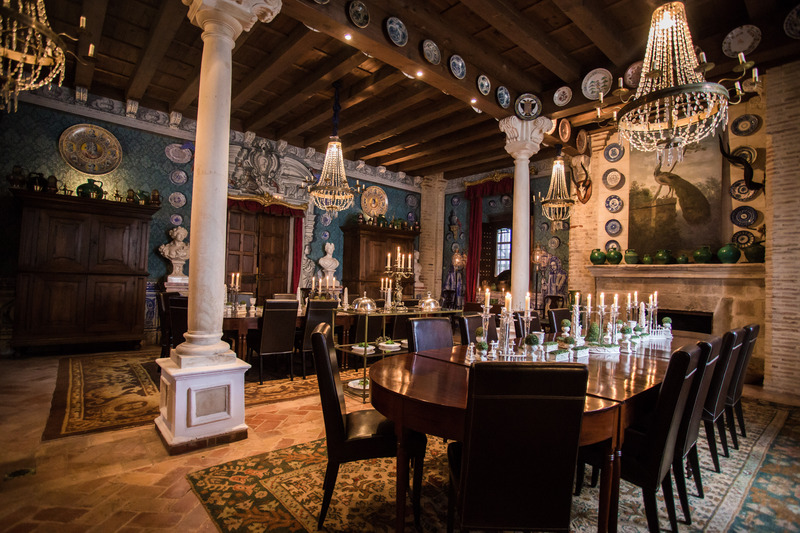 From the Music Room or from the Gallery we enter the Lodge, the place where breakfasts and dinners feel like eternity under the attentive watch of the gravestone, reminiscence of the finished works in 1576. A light wood gold finished baroque rosette dominates the room. The Hall area is from where you enter Palace. Familiar portraits preside over the area, the most noticeable is of its Excellence Mr. Don Manuel Maria de Morales and Molas, Governor of Seville when the April Fair was founded, asigned Lieutenants to his office where the gentlemen Bonaplata and Ibarra. An original receipt for the rights to a stand at the fair, currently conserves its forth grandson and proprietor. This space connects with the Music room, the Dining room and the Lodge. The Music Room is dedicated to the family Jódar. The parents to the first Jódar were members of the Royal House of Leon. His older son was Don Sancho Martinez de Jódar, first Military Governer of Andalusia and founder of the family name. Ángel Ramos, with the collaboration of Amaro Sánchez de Moya, has created the decorative paintings. 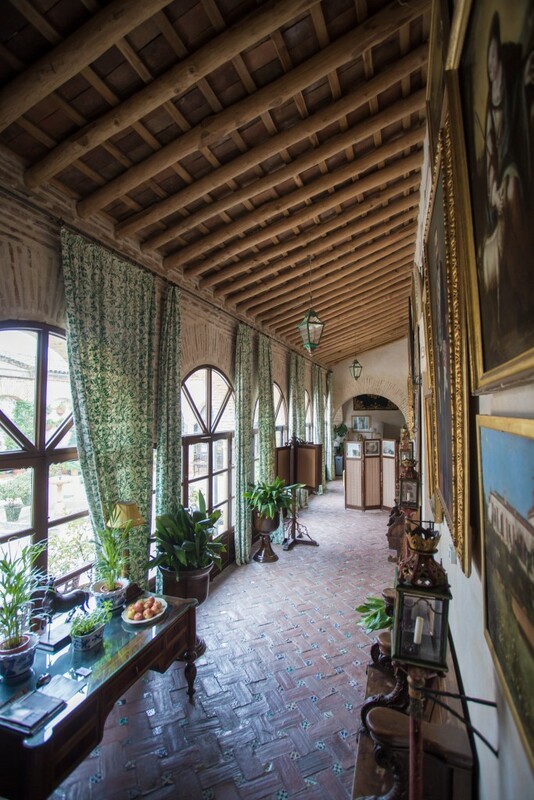 Furniture of different origins and great value, family portraits, an harp and one magnific “Erad” piano, complete the accessability to large Dome of Martín de Gaínza and its grand stairways covered with 16th Century tiles. The Palace Chapel is attributed to the Faith of its owners. 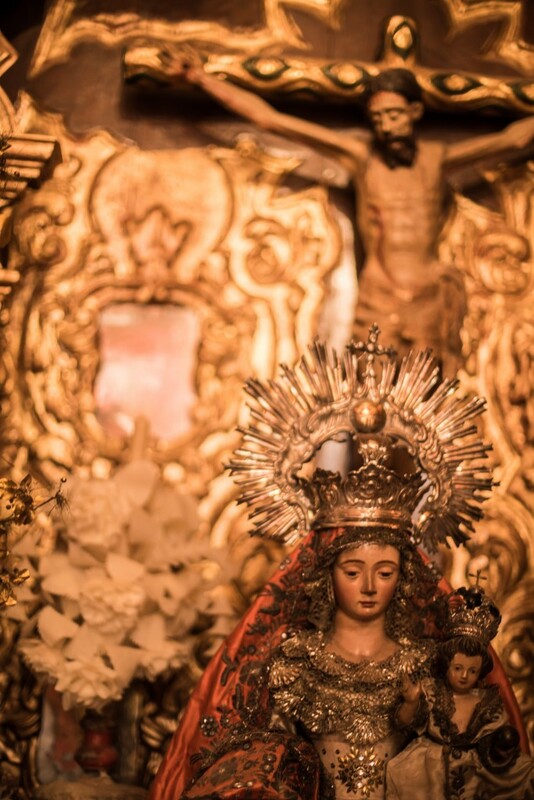 It presides over a magnificent altar, of Sevillian Rococo style, with a gorgeous image of the “Virgen de Carmen”. There you will find the original sketch of the “Santo Christo de Jódar”, the 16th Century “Virgen de La Paz”, as well as the 16th Century “Santísimo Christo de la Mata”, homonymous to the statue in the familiar entailed estate, in the village of Bormujos. 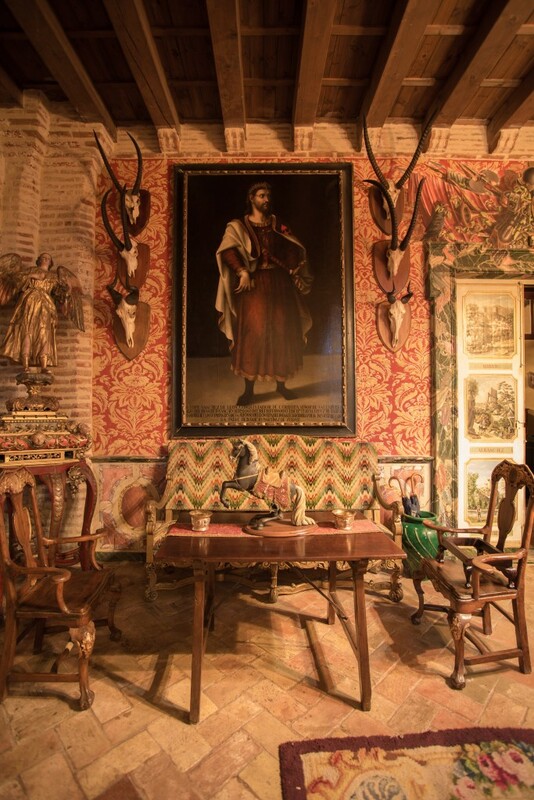 The mural paintings are work of Sevillian artist Amaro Sanchez de Moya.